Magic Chef microwave is in perfect condition and works wonderfully. 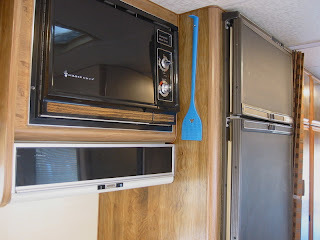 The vent-a-hood is also in perfect condition with a fan and light. Plus the black panel above the fan and light switch flips open for storage of spices and small items.